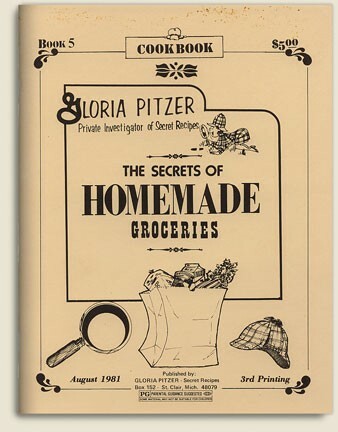 1979 – The Secrets of Homemade Groceries cookbook was written, illustrated and published by Gloria Pitzer (Gloria Pitzer’s Secret Recipes, St. Clair, MI). 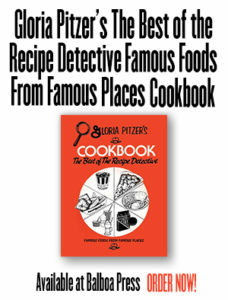 NO LONGER IN PRINT – this cookbook, sometimes referred to as “Book 5” or the “Brown Book”, had a 52-page, 8.5″ x 11″ format with over 370 index listings and sold for $5 per copy. There were 5 books in this series for Secret Recipes, the 1st was published in 1976 and another each year after that, through 1980. 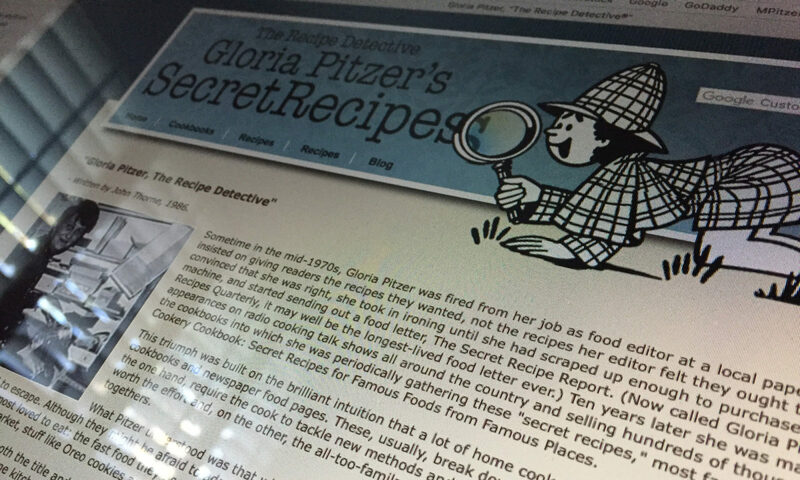 Each book averages about 275 recipes developed by Gloria Pitzer – Private Investigator of Secret Recipes… Except for “Book 5”, which deals exclusively with making supermarket products at home. This unique cookbook includes the principles of canning and freezing foods, of making your own mixes, sauces and seasonings at a tremendous savings over buying them.